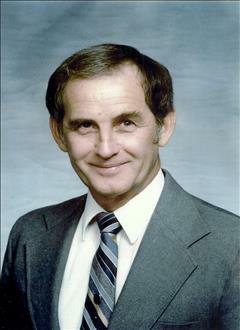 Thomas James "Jim" Burke Sr., was born on November 5, 1937 at home in Spelter City Addition, Henryetta, Oklahoma. After graduating Henryetta High School in 1955 he enlisted in the United States Air Force. During his time in the USAF he served in Cheyenne Wyoming, Brazil, Argentina, Korea and Tinker Air Force Base In Oklahoma City until his honorable discharge in 1959. Shortly after leaving the service he began a career with the U.S. Postal Service that lasted until his retirement in October of 1992. During his career and for many years afterward, a total of 40, Thomas served on the Board of Directors of the Tulsa Postal Federal Credit Union, now known as First Oklahoma Credit Union. For 29 of those years he was Secretary Treasurer. Thomas married Violet Kellogg on May 8, 1965 and in 1970 they had a son, Thomas James Burke Jr. He is survived by his wife Violet of Bixby, his son, Thomas J. Burke Jr. and his wife Melanie Burke of Bixby, his sister Carol Dow and her husband Eldon of Henryetta, his sister Patricia Payton and her husband Ronnie of Liberty, his sister, Linda Stanton of Skiatook, his brother Dennis Burke and his wife Faye of Decatur, Mississippi as well as many nieces and nephews whom he loved dearly. Viewing will be held on Tuesday from 5-8 pm and on Wednesday from 8am - 8pm at Integrity Funeral Service. A funeral will be held on Thursday, June 26, 2014 at 2:00 PM at the First Baptist Church in Dewar, Oklahoma with Rev. Jack Vance, officiating. Interment will follow at Westlawn Cemetery in Henryetta with Military Honors by The U.S Air Force. Services are under the direction of Integrity Funeral Service.